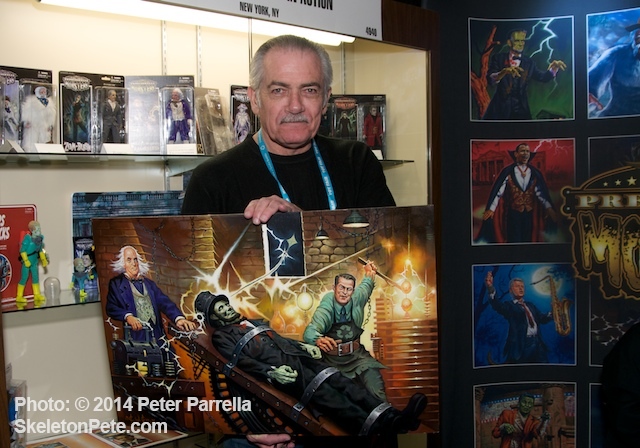 Artist Ken Kelly at NY Toy Fair 2014 with original painting for Presidential Monsters Series. 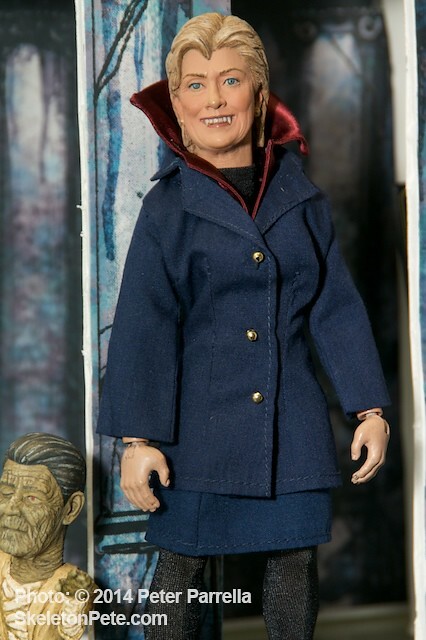 George Washington’s birthday (he’d be 282 years old today) seems a perfect opportunity to bring you up to speed on the current state of the union for Mark Huckabone’s Presidential Monsters Series. 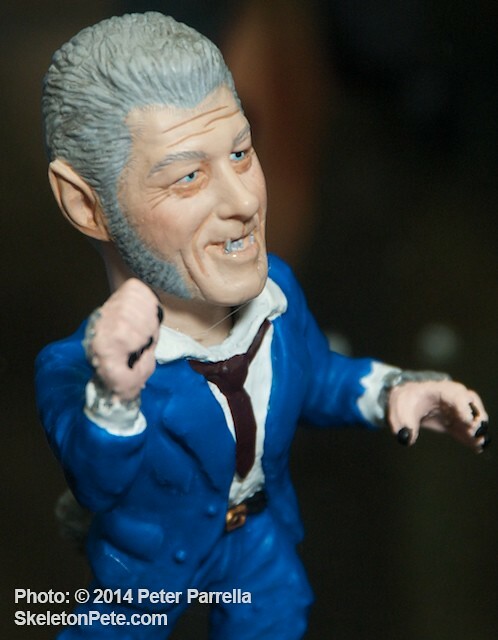 A few years ago I was able to share an advance look at the Heroes Entertainment collection that puts a monstrously humorous spin on US political characters. 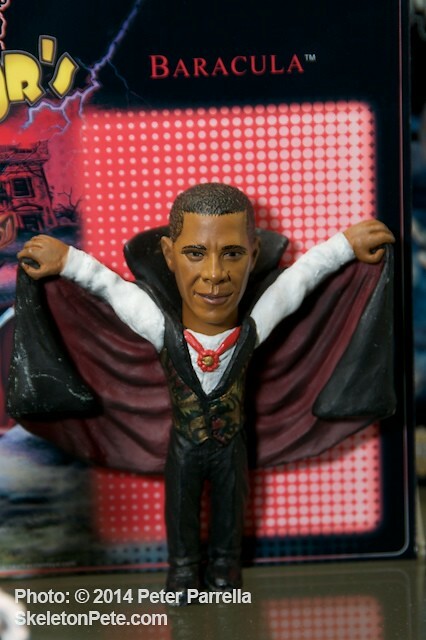 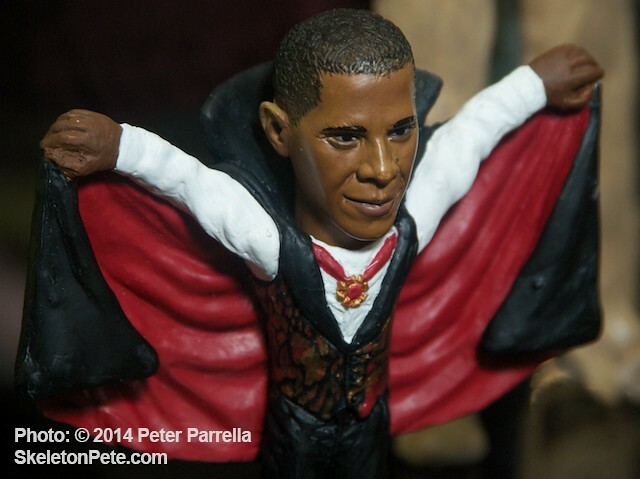 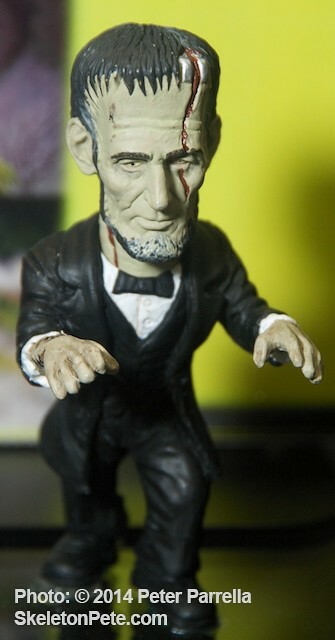 Both current and historical figures are represented from George Washington’s apparition as the “Spirit of ’76,” through our current prez as the caped and fanged Baracula. 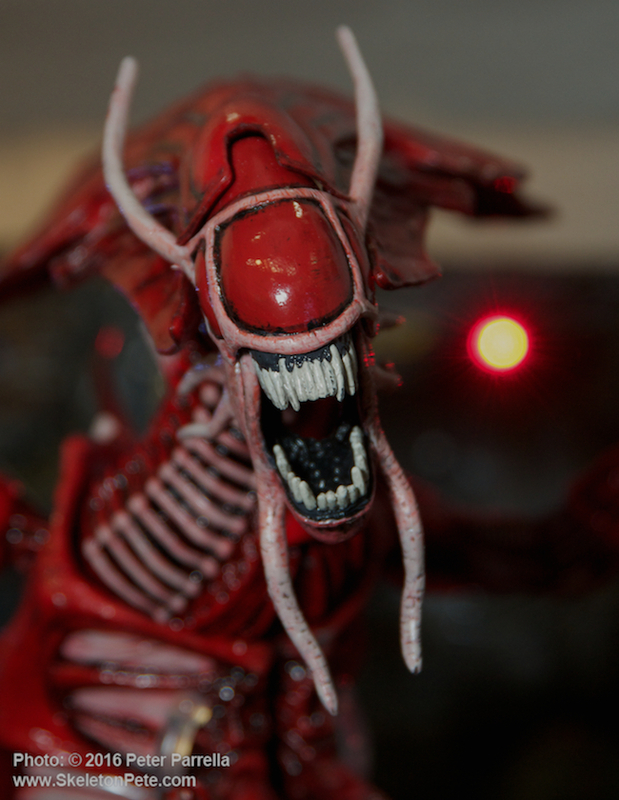 At New York Toy Fair this year Ken Pierce of the PiercingMetal website and I were extremely lucky to pass by the Heroes Entertainment/Toy Tokyo booth at the same time legendary fantasy artist Ken Kelly was visiting with two pieces of original art. 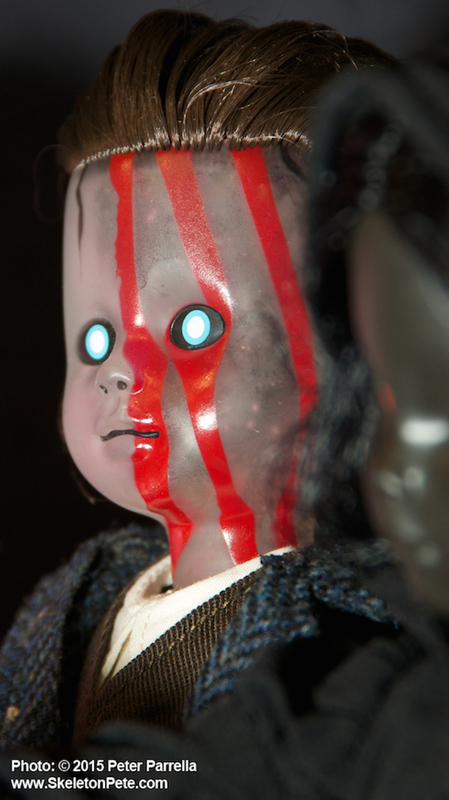 Pierce, a huge KISS fan, was thrilled to meet the creator of that group’s iconic Destroyer and Love Gun album covers. 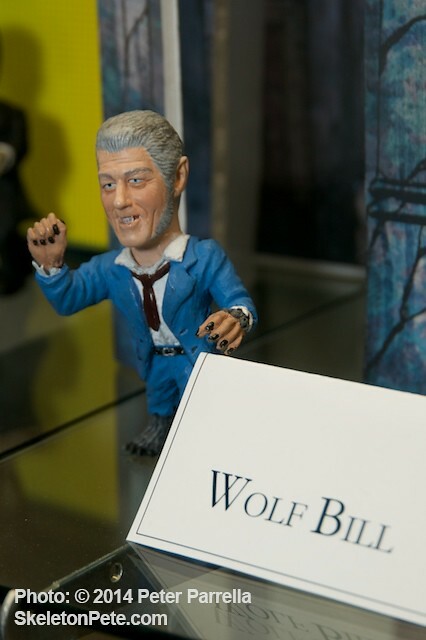 The artist also has an exclusive agreement to paint original art on Gene Simmons’ line of bass guitars. 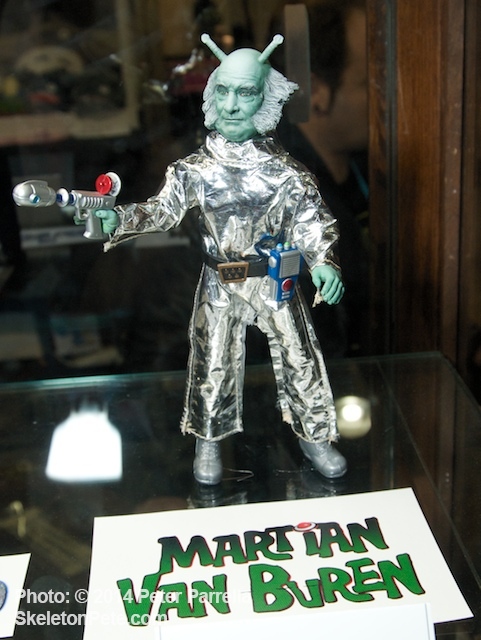 One of Kelly’s paintings, titled “The North Shall Rise Again,” depicts a kite flying, lightning harvesting, Benjamin Franklin as Dr. Franklinstein with his recycling mad assistant Algore pulling the switch to revive a wounded Lincolnstein Monster, top hat and all. 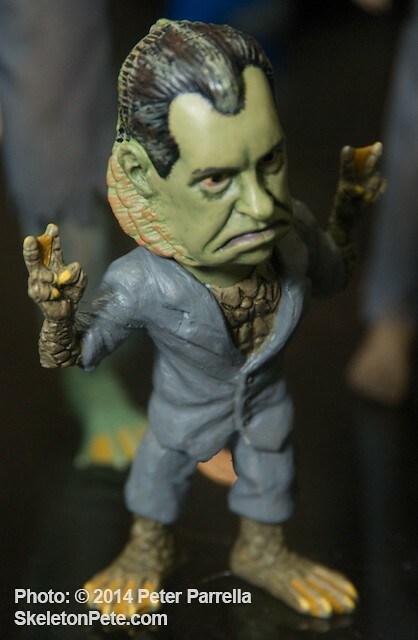 It’s that kind of good natured satire that pervades the entire Presidential Monsters series with characters like Yeti Roosevelt, the green gilled Nixon Monster from the Watergate Lagoon, Bill Clinton as a saxophone playing werewolf, and Andrew Jacksferatu. 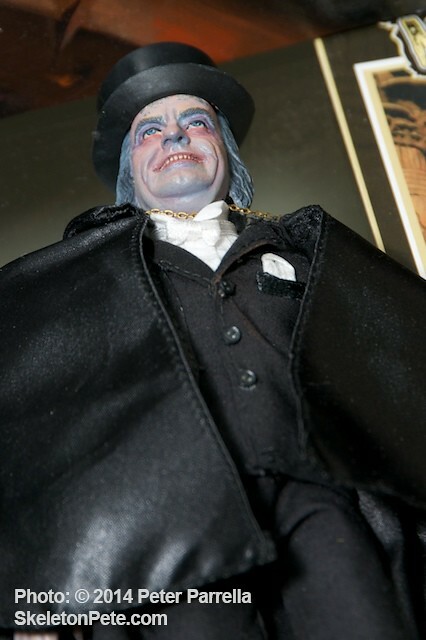 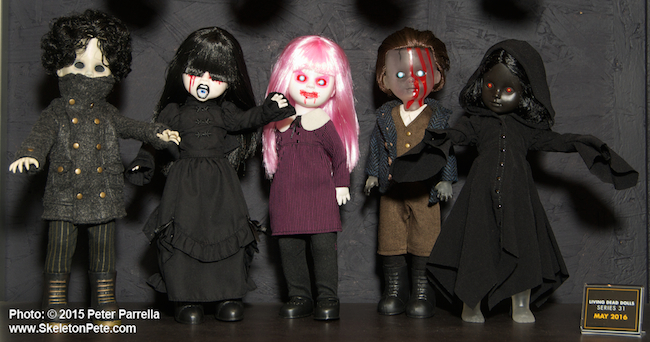 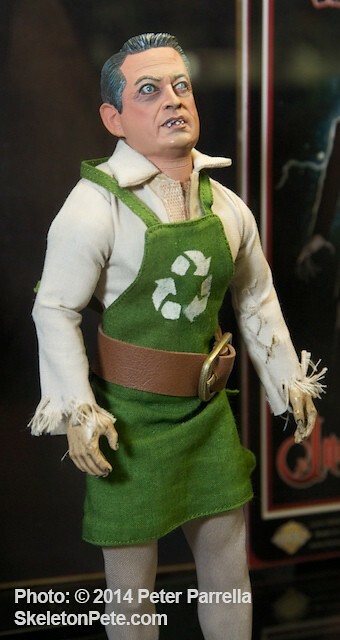 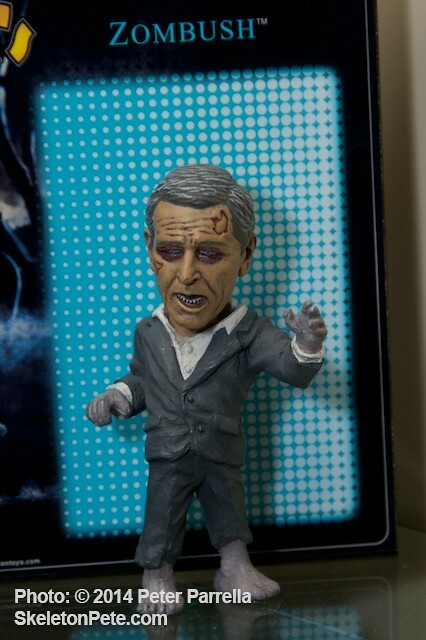 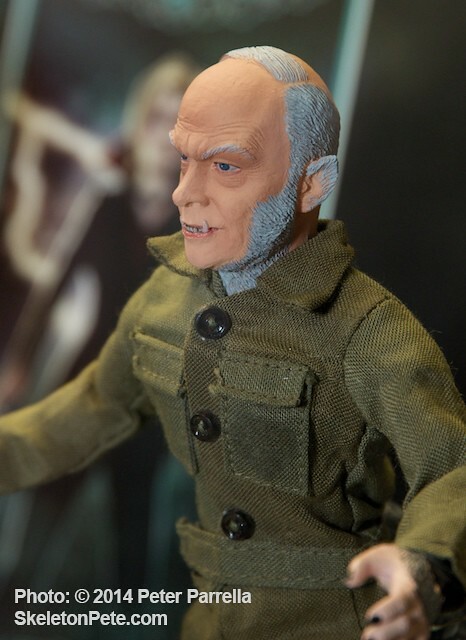 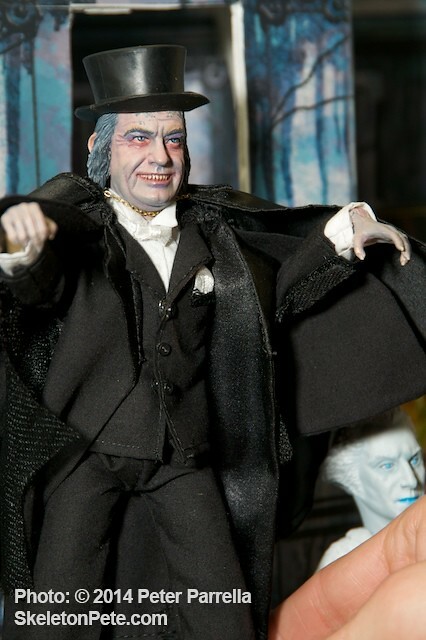 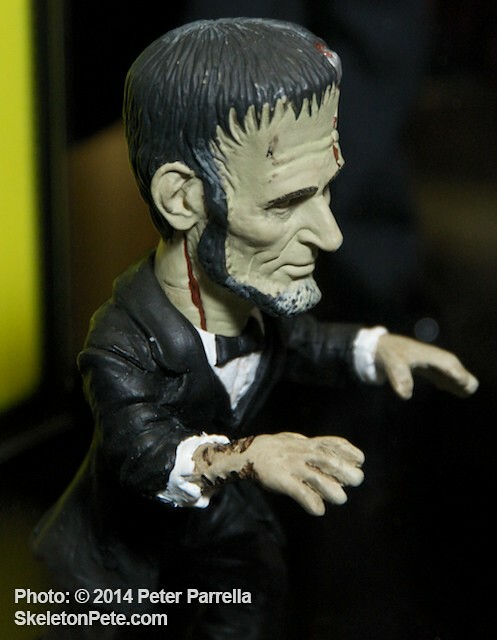 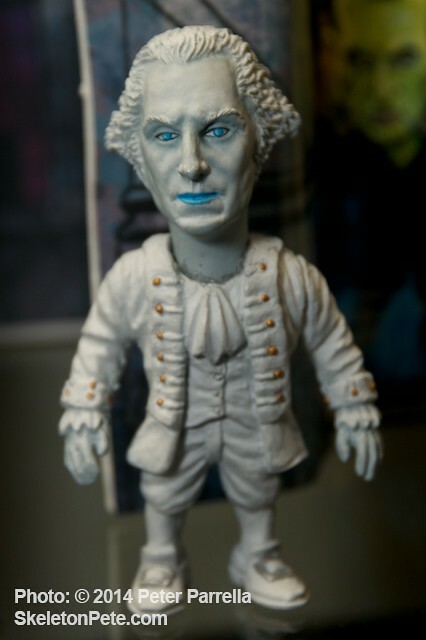 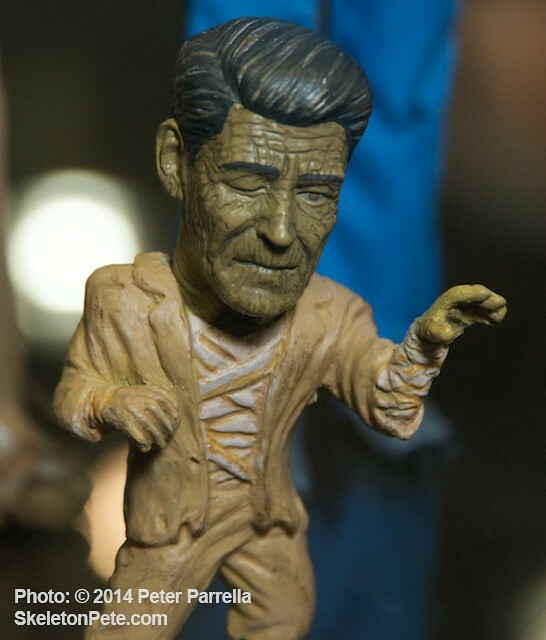 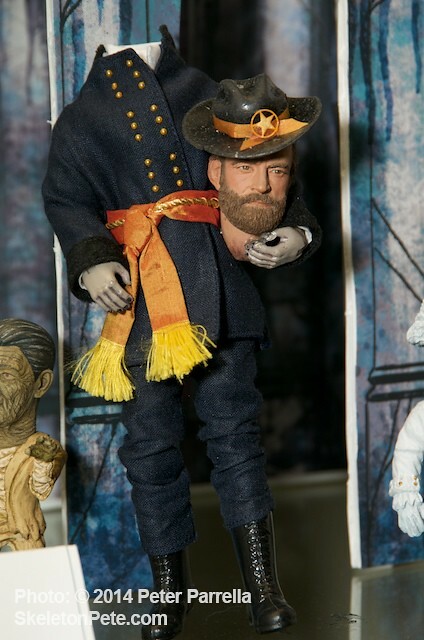 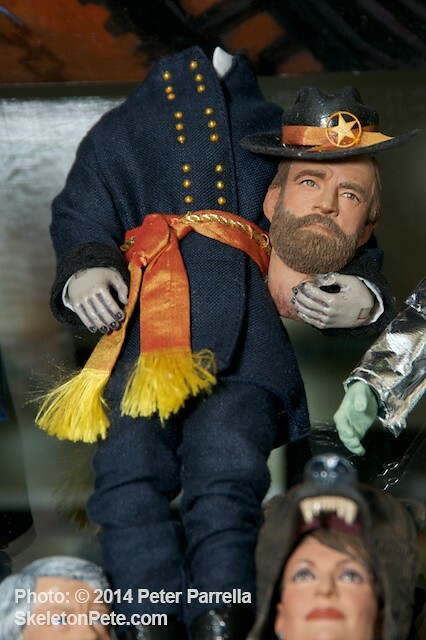 Not yet on the release schedule, but previewed at Toy Fair, are Lyndon After Midnight, casting LBJ as the Chaney Sr. silent screen vampire, my favorite Martian Van Buren, and Headless S. Grant. 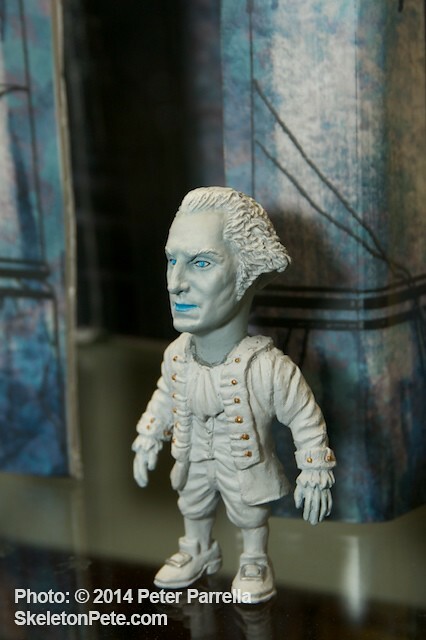 General George Washington, looking good for 282 years old. 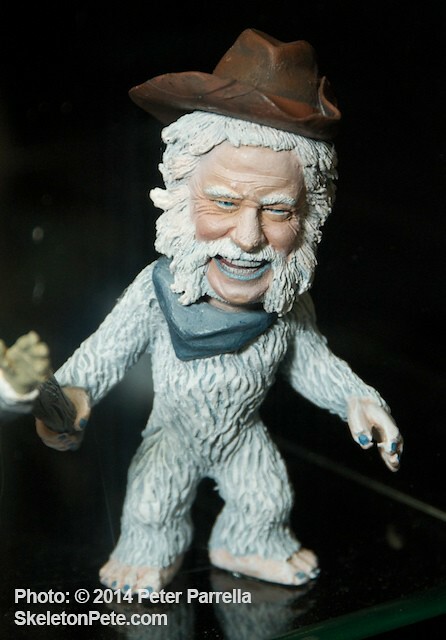 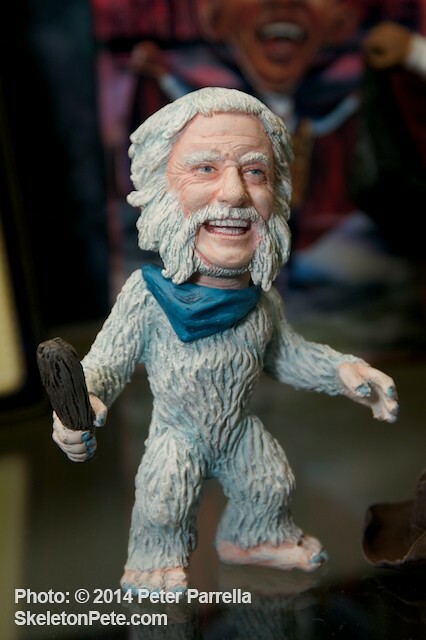 In addition to the articulated, fully clothed, 8 inch dolls, Heroes Entertainment was showing a “junior” edition of carded cast figures that are currently in the works.